Australia's US Masters hopes took a dive on Augusta's 15th green. Co-leaders at the start of the day, Adam Scott and Jason Day both stumbled at the gettable par-five. Day found the pond and made double-bogey, while Scott failed to capitalise on a monster drive by blocking a makeable uphill putt for birdie. "That was just a poor mental error," Day said of his rinsed third shot. "I probably should have calculated a little bit more distance behind the pin. "I was trying to be a little bit too overly-aggressive to that pin location to get a birdie, at least, on the par fives. "Unfortunately, I made the mistake and miss hit it a bit and it pulled up short." Asked if he was too far back to win, Day (six-under) said: "I don't feel like I'm too far back. If I can shoot seven-under that may give it a good scare … hopefully I can claw my way back somewhere near the lead." He said his injured back was "fine". Scott, who will start the final round six shots behind leader Francesco Molinari, said a four-shot deficit was a more realistic gap to chase down. "Four you'd feel like you've got a good chance," Scott said. "I mean, of course, I have a chance, I'm playing, you never know. Can I shoot 61? It's possible with the way the course is … and that's what I'd need to do. "You just know what you have to do, there's no wondering if you can just make pars and everyone else just falls over - that's not happening. "Hopefully I can take advantage of some of the scoring pins tomorrow … it was pretty good scoring out there today and if we have weather like this with no wind … it could be fun if you get hot. "I'm certainly playing well enough to do it." Scott said he struggled with the pace of the greens all day. "They're maybe the slowest I've ever seen them here. 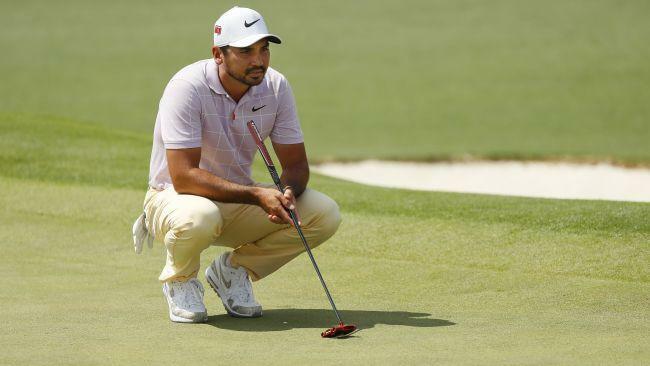 It's a bit of a battle … I kind of geared my putter for fast greens." Fellow Australians Marc Leishman (two-under) and Cameron Smith (three-under) conceded their Masters bid was shot.